The Reverso 4 is technically retired but it's still sold online.The Reverso 4 is no longer produced by Petzl. We're showing it as "available" on WeighMyRack because you can still find it at trustworthy online retailers. The range of rope diameters, in millimeters, that the manufacturer/brand specifies can safely be used. This is the best case scenario and does not necessarily take into consideration that certified ropes have a tolerance of +/- .3 mm. 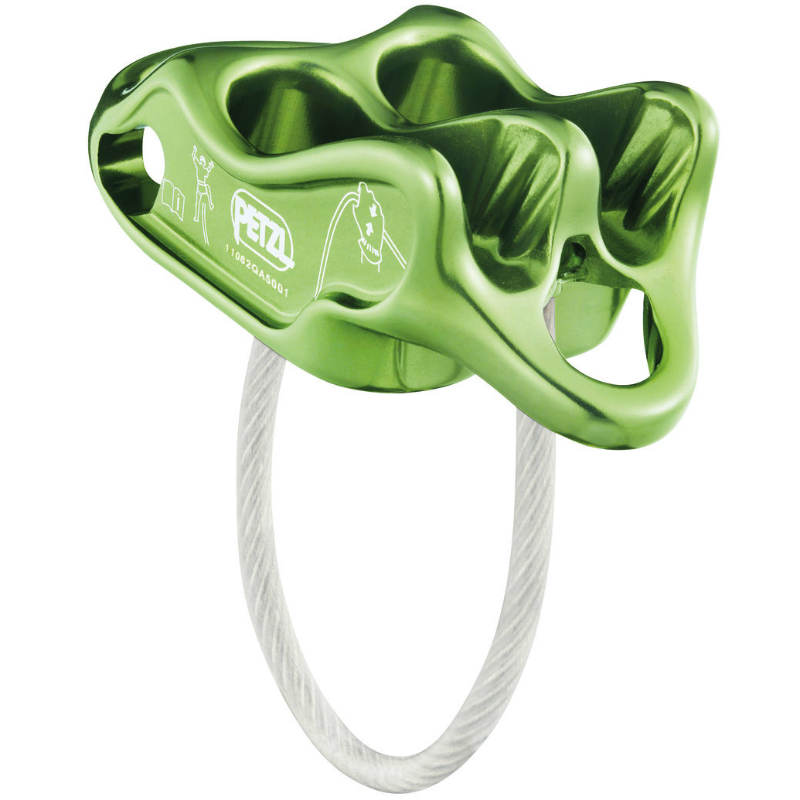 Recently, manufacturers have started to add an "optimized" rope range -- this is the range that will result in the nicest handling of the belay device. This video shows all the features of Reverso 4 belay device, with comparisons to old Reverso. A well discussed review of Reverso 4. This video is really long but informative, it shows all the instruction for using Reverso belay device in details. Warning: This video is dubbed in English. If you're getting antsy, skip to section 7:40-8:15 for one of the most interesting parts, where they show a hardware specific camera inspection. I get most of my belay devices for free, but I paid full price for the Reverso. The Reverso 4 really is the gold standard of tube style belay devices. It’s super smooth and versatile. 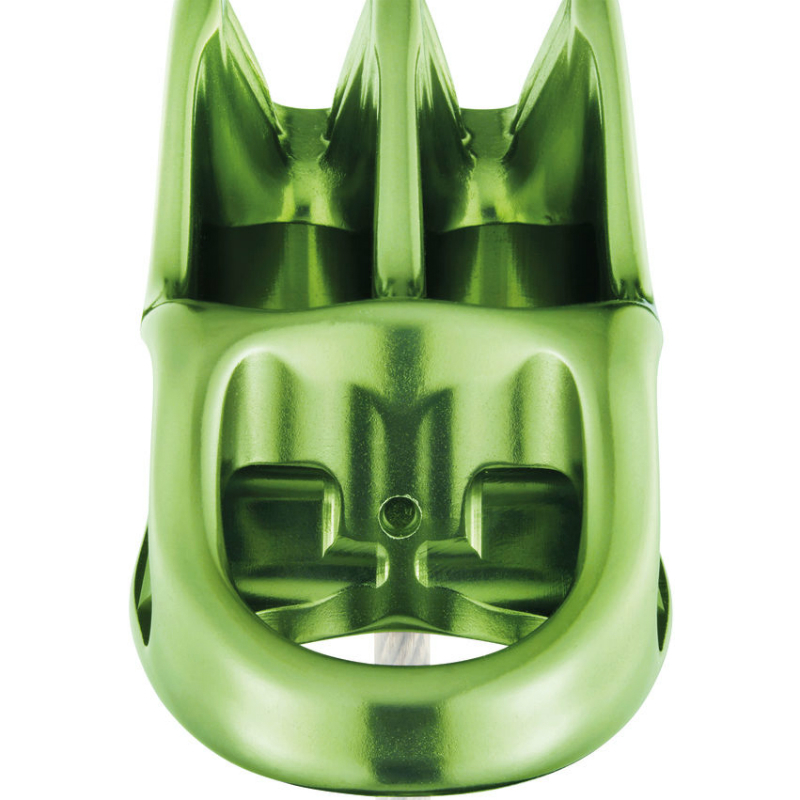 You can pretty much use it in any type of climbing or situation. The guide mode adds a little safety and convenience when multi pitch climbing. The only thing it really lacks is the brake assist found in the Edelrid MegaJul. It’s a trade off... get the buttery smoothness of the Reverso or the convenience and safety of the brake assist with the Mega Jul. Having owned the ATC Guide, Reverso, Mega Jul, and many many other devices, I typically choose the Mega Jul. BUT, if I needed to reduce pressure when belaying from an anchor, I would choose the Reverso for sure. One small feature that led me to choose the Reverso over the ATC Guide is the orientation of the guide mode loop. The loop is oriented horizontally in relation to the device (perpendicular to the tubes), meaning that when it’s clipped into an anchor, the tubes are naturally oriented in the direction of pull. This is not the cause on the Guide, which has a loop oriented vertically. 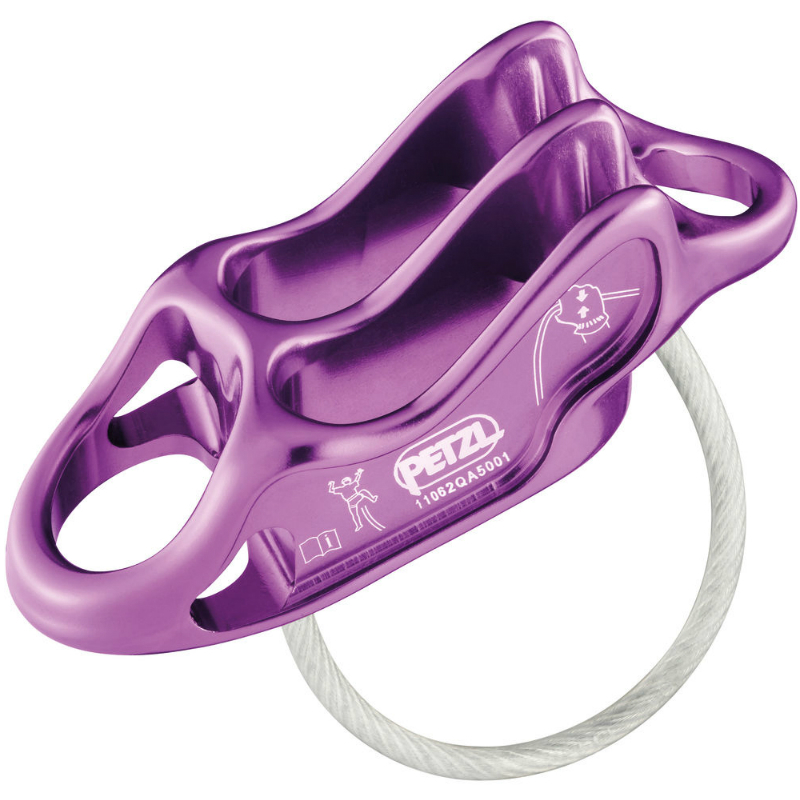 For years the Petzl Reverso 4 and Black Diamond ATC Guide have been two of the most popular belay devices among American multi-pitch climbers. It's easy to understand why, they're both afforable, smooth, and reliable. At first glance our testers thought they would prefer the Reverso because it's lighter and the shiny anodized finish looks cooler. However, when we actually compared the two side-by-side with the same ropes in a controlled environment (especially in auto-block mode) the ATC Guide came out on top. The difference is small though, so if you've already got a Reverso and like it, don't feel any pressure to switch. The Reverso 4 is a great tool for top rope belaying and for belaying a leader as well. This winter I caught a couple of falls with it. The skinny ropes were iced up, and it worked admirably. I’m not sure how well a device with larger rope slots like the BD ATC Guide would have worked in this particular situation. 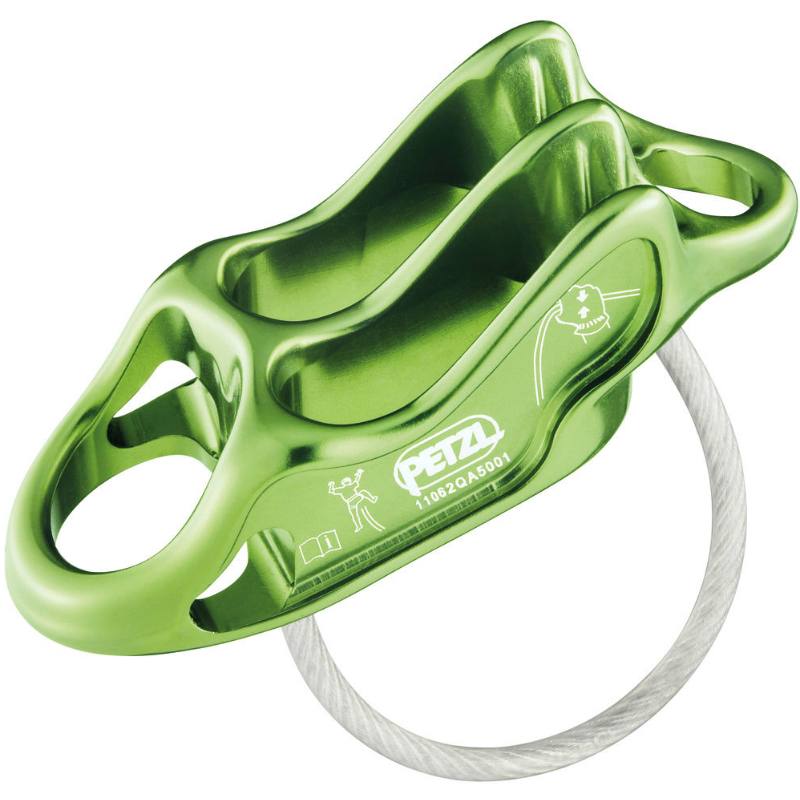 Since we all seem to be climbing with skinnier ropes these days, I like the idea of smaller rope slots, and Petzl’s patented Progressive Rope Control. Overall, I’m impressed with the light weight, and ease of use. Lowering in the plaquette function is pretty easy with a carabiner in the release hole. I’m so sold on it, I can’t imagine ever going back to a different device. Petzl doesn’t redesign things often, but when they do, they do it with intention. How to use the REVERSO 4 (good and bad), various instruction of REVERSO 4 including inspection and techniques. A checklist to monitor your belay device, it helps you to know when to retire your belay device. Describes with words and helpful photos, how to protect your belay device and other metal equipment. Description of procedure, how to inspect REVERSO 4.